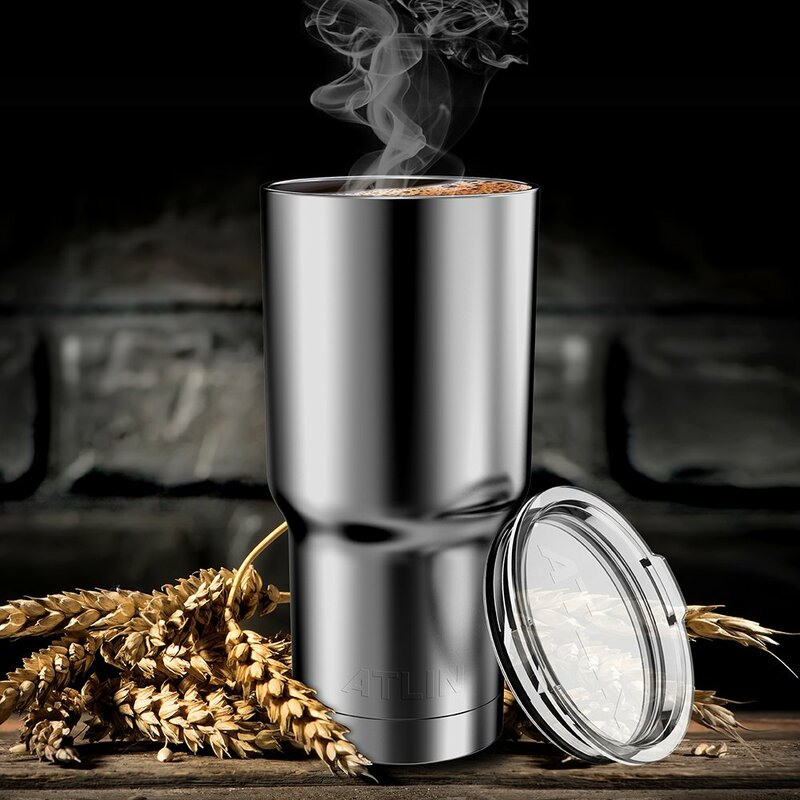 There are a lot of great options out there when it comes to thermoses, water bottles, and travel mugs, but this Atlin Stainless Steel Tumbler is the way to go. At $13.79, this travel mug is an insane 54 percent off, which means you get a great quality mug for a very cheap price. This mug keeps liquids hot for up to 6 hours, so you can take your coffee to work and it will stay warm the whole day. On the other hand, it also keeps liquids cold for an incredible span of 24 hours, so you can take a cold beverage to the pool and when you leave it will be just as cold as it was when you got there. This mug’s features are that it is toxin free, dishwasher friendly, has a lockable lid (which prevents spills) and will feat neatly in a cup holder. 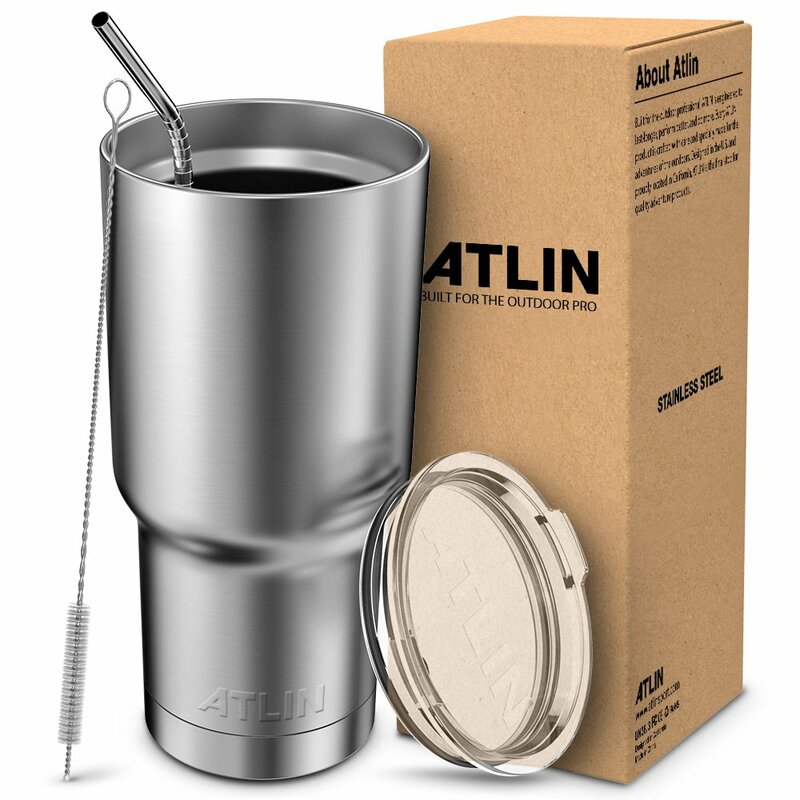 It can carry up to 30 oz of liquid, and it comes with a clear lid, a metal straw, and a straw cleaner. Fall is here, and winter is coming, so get this mug today and never have to worry about your coffee getting cold again.